Bruce Hendrie (b. 1948), masters athlete, runs to gold in the men's 800m race, 65-69 year old age group. 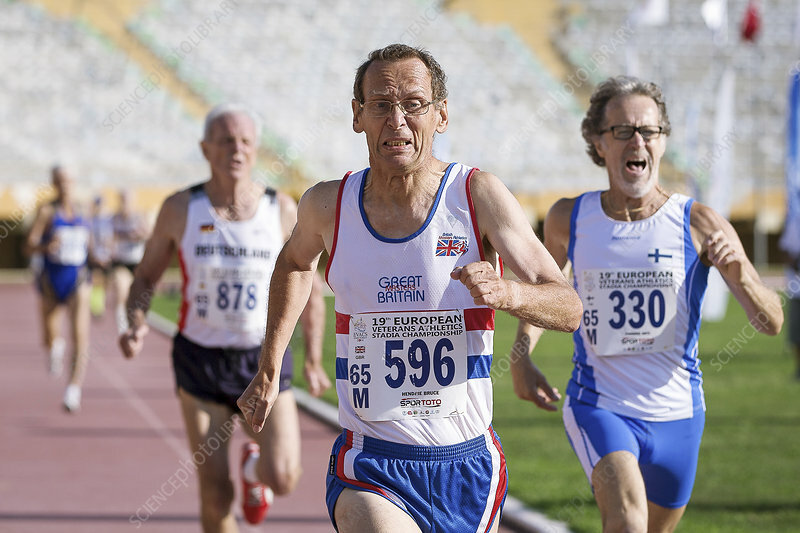 Photographed at the European Veterans' Athletics Championships in Izmir, Turkey, August 2014.